Lending a helping hand to those fighting ALS. Helping families face ALS with dignity and strength. Whether you are coping with ALS, or wish to volunteer or help in a financial way, we welcome and appreciate you. It is the Foundation’s goal to bring people and resources together to help families face ALS with dignity and strength. All of our efforts are focused on collecting and distributing the necessary help and resources to local Central Texas families facing ALS. We bring donors and volunteers alike together to organize fundraising events that help fund projects and services that can change the lives of families. We work hand-in-hand with the National ALS Association to determine how to best aid the families in need.  The Busby Foundation was created in November 2001 by friends and colleagues of the late Bo Busby to honor his life and legacy. Bo courageously fought ALS and yet still helped other, less fortunate fellow ALS patients and their families by providing assistance in many ways. It is in that spirit that we continue to serve other Central Texas families touched by this tragic disease. It’s because of people like you, who take the time to learn more about the disease that make this work possible. We hope while you are here, you will learn more about the work we do and become inspired to participate in any way you can. Nothing speaks more than hearing from those families The Busby Foundation helped. Each story is one of courage. Hear more about them. We can do great things when we do it together. Touching lives and helping families facing ALS wouldn’t be possible without the support of our donors. You can help families right here in Central Texas by donating today.